Recycling certainly pays at DZG as we’ve been able to purchase tasty enrichment treats for our animals with funds raised from scrap metal. 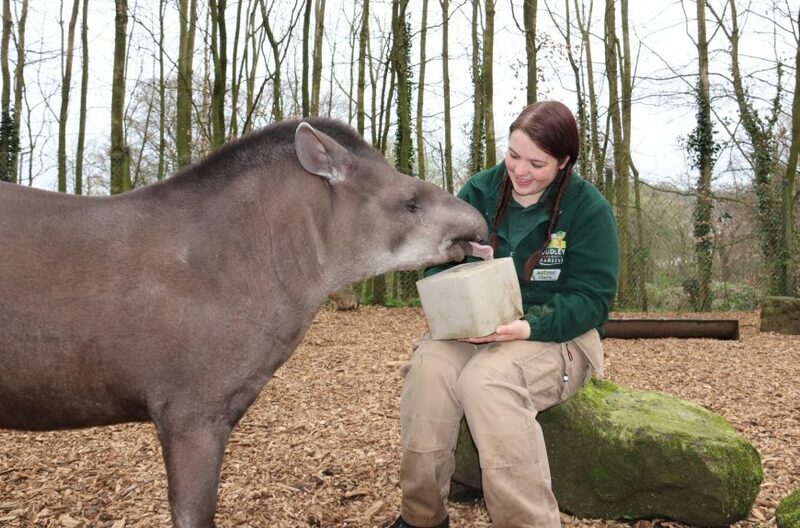 Our Brazilian tapirs, along with the Barbary Sheep, giraffes and reindeer, have been enjoying salt licks after we made £176 from scrapping metal from enclosure projects at Mason Metals in Brierley Hill. Assistant Curator Jay Haywood, said: “We’ve put the donation raised from recycling scrap towards purchasing the salt licks for our ungulate species. Previous: As flat as a pancake! Next: Peepo! We see you!